Glenbervie House Hotel Wedding Venue Review is the topic of this week’s blog. Gordy is a DJ was thrilled to return to this luxurious venue which is an extremely popular choice for wedding couples. A Victorian manor house hotel situated just outside Larbert in Stirlingshire, it boasts 12 charming individually designed bedrooms. 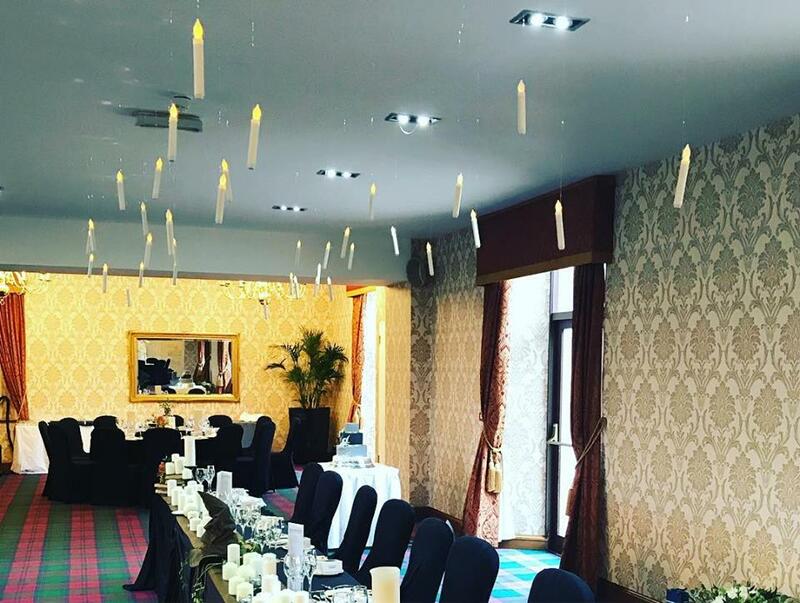 This venue is easily accessed from both Edinburgh or Glasgow and the many function rooms are suitable for small or large weddings. Gordy is a DJ had the pleasure of providing the entertainment for the Grogan wedding and these guests certainly knew how to party. The bride’s attention to detail was outstanding and the Harry Potter theme was magnificent with candles, as you can see from the photograph opposite. It looked fabulous!! The Glenbervie Suite which can hold up to 200 guests for an evening reception was transformed by the use of our red mood lighting, enhancing the wedding couple’s theme. 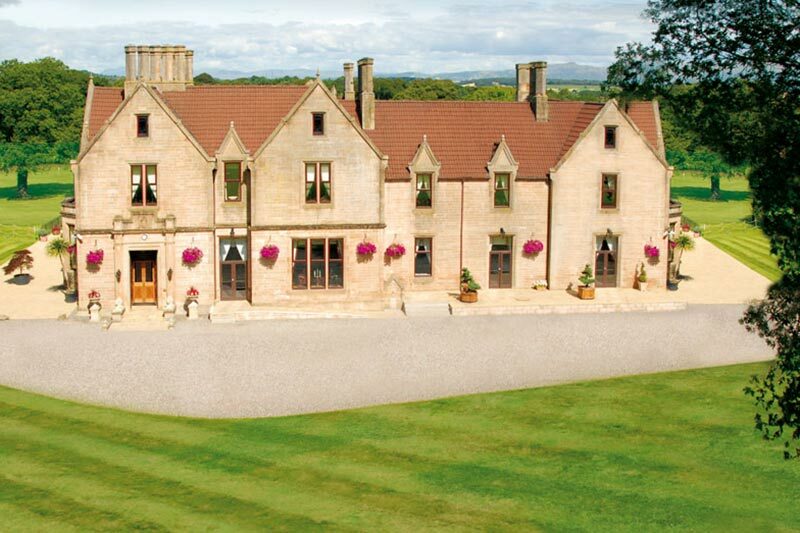 As a 5 star wedding venue, Glenbervie House Hotel offers exclusive use for wedding couples, a backdrop of a nearby castle and rolling countryside which is ideal for those all-important wedding pictures. Wedding co-ordinator Jan was very helpful as were all of the staff during the evening, a real bonus which makes Gordy is a DJ’s job that much easier. From an entertainer’s point of view, access is very straightforward. Park in front of the function suite, a couple of steps up to the required level for access and straight in to the room. Although no smoke or haze is permitted, access to power is plentiful and thankfully there is NO sound limiter in the building. The bar is located within the function suite meaning guests do not miss out on the action! There is plenty of room for dancing with the venue having it’s own dancefloor. 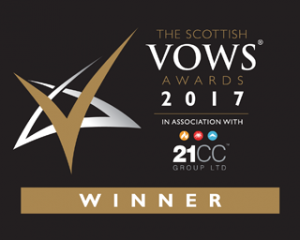 Glenbervie House Hotel is an excellent choice for a DJ or band as the allocated space to set up the equipment is more than ample – thank you for giving us plenty of room, not all venues are as accommodating!! With a long sweeping drive this hotel combines old and new styles which suits everyone! It is definitely a venue to consider and Gordy is a DJ can’t wait to return in the future. For more information about our multi award-winning wedding DJ service, please contact us here!